FLD-101 Japan two prong AC power cord plug with PSE JET certification is rated up to 7A 120V. 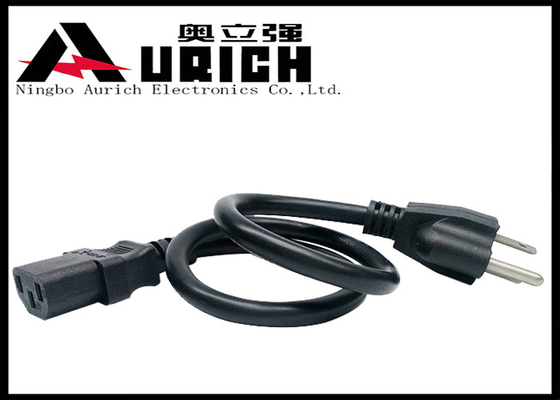 Built to JIS C 8303 standards, it is designed for 2 conductor Japanese power supply cord applications. 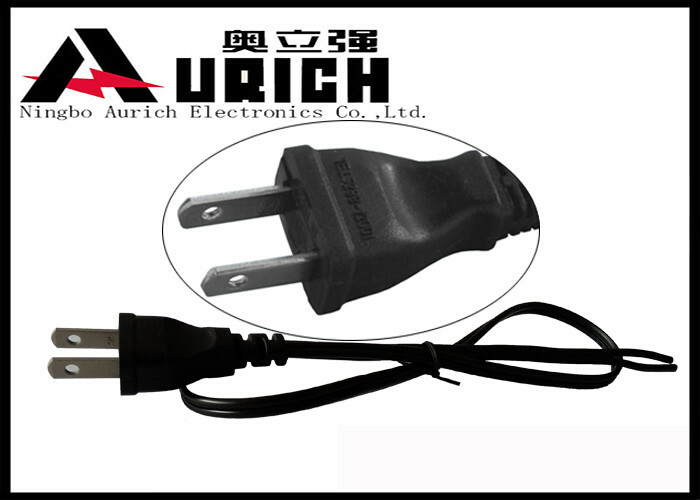 JIS C 8303 to 3 Outlet Socket describes Japan 7A plug molded with three outlet socket extension cord. 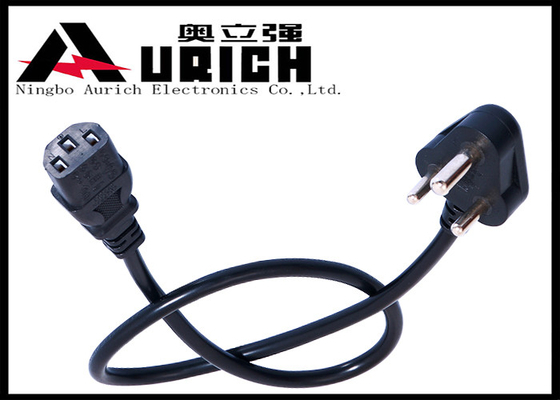 All of our Japan AC power cords are fully made with ergonomic design and RoHS compliant. Since the foundation of the company, Aurich has taken quality as her life. 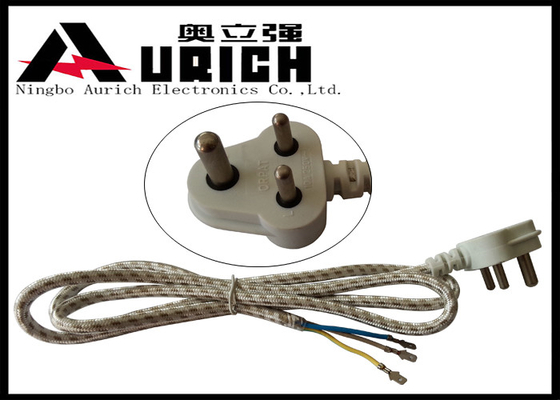 Whenever there was a quality accident, Aurich had finished a revolution on quality controls and manufacturing technology to assure the best quality to our customers. As an ISO 9001 certified manufacturer, we constantly monitor our operations to ensure that nothing will stand in the way of delivering quality product and service. All our staff dedicate themselves to increasing customer value through continuous improvement of product and service quality. Starting from a work shop to a company group, Aurich has developed hundreds of products, including several revolutionary patents. Every month, there will be new products shown on our catalog. 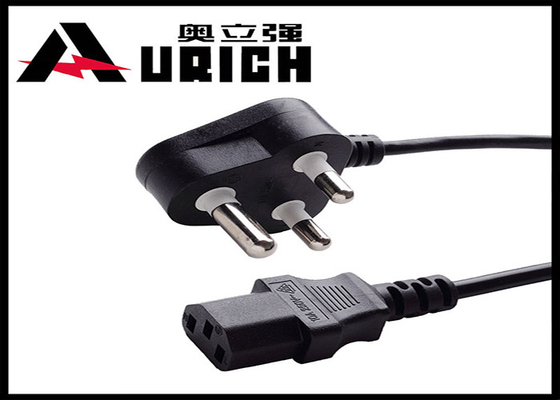 Our technicians have been growing in both quantity and experience and Aurich will keep surprising you with new functional products. Both our products and our people not only meet, but exceed expectations. Aurich will bring you the premium products and service you need today as well as the most exciting ideas for tomorrow. • Packing (pcs/carton): It depends on the types of power cords and the length of power cords. • Or according to per customers' requirement, we can customize a new size carton in order to help customers save shipping fee. P. S. Other special requirements are also available.